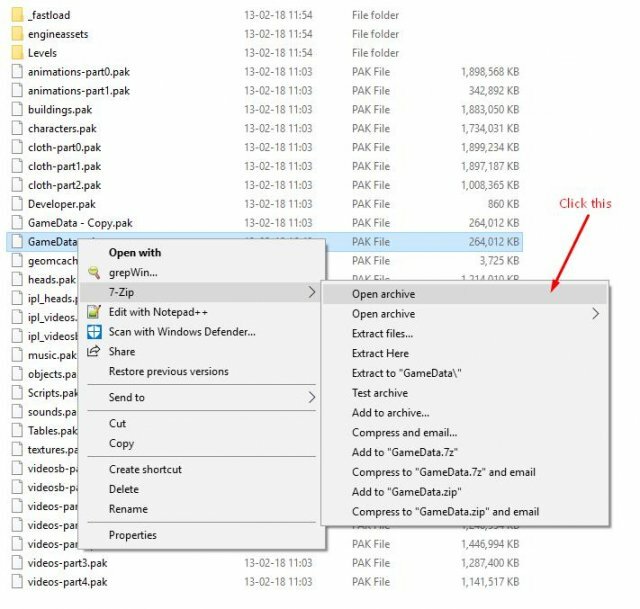 This guide will show you how to edit the game files to remove the need of Saviour Schnapps to save. How to Beat Up Kunesh. How to Brew Saviour Schnapps (Save Potion). 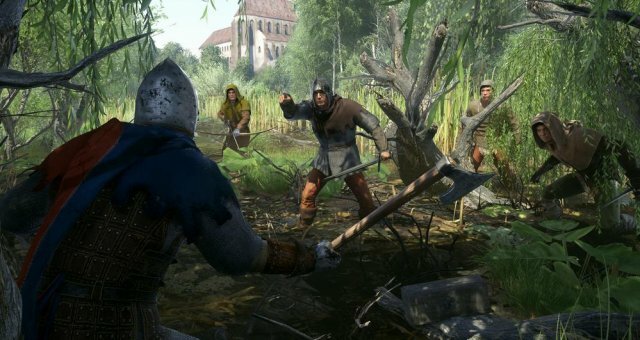 How to Get Money for Lockpicks at the Talmberg. How to Get Hans Capons Bow. I tested this myself and it does indeed work, however as I have only played a few hours it is unknown if this will cause any issues. I will not be responsible if your game or any of your saves stop working! I do not know if this stops achievements from working yet. Also, it's worth knowing that it seems like the game does not always let you save, like for example during certain story quests or other parts of the game. Make sure that it really says "You need saviour schnapps" as a message if the "Save Game" does not work after making the change for not needing any schnapps at all. Use at your own risk, you have been warned! 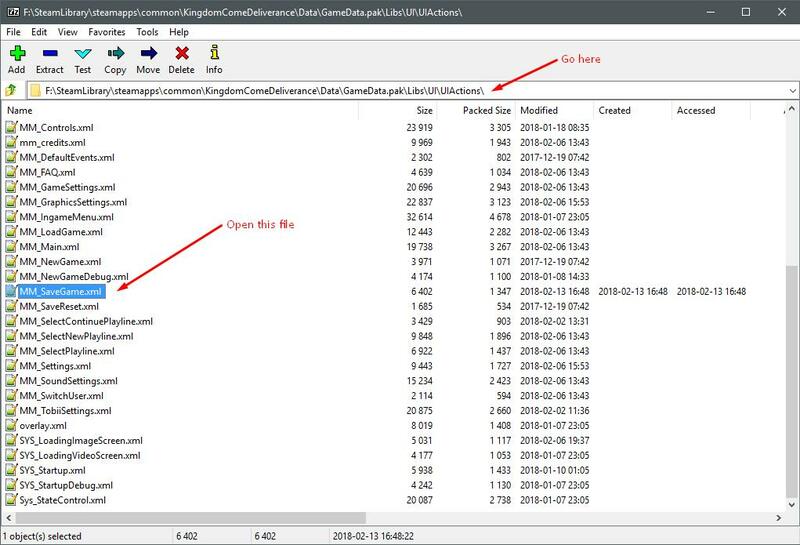 You download either of these 2 files and put them in the KingdomComeDeliverance\Data folder and it will work as a mod. There are 2 versions: One where you still the schnapps in your inventory, and one where you don't. Do not use both at once! If you have any issues during these steps you can look at the pictures for some clarification. Step 1: Go into your Steam folder. 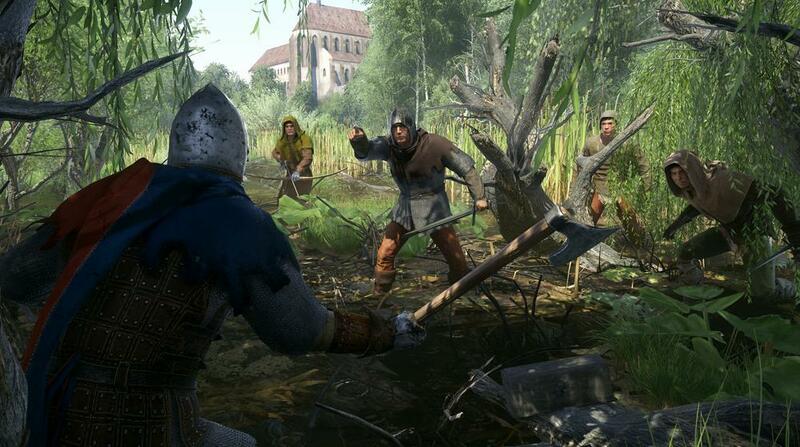 Step 2: Navigate to your Kingdom Come installation folder (named KingdomComeDeliverance) and open up the "Data" folder. Step 3: Take a copy of the "GameData.pak" file in case you make a mistake. Now for the actual editing you will need a program to open archives with. I use 7-ZIP myself and I highly recommend it. Step 4: To open it with 7-Zip you right-click the "GameData.pak" and select "7-ZIP" > "Open Archive". Step 5: Navigate to "Libs\UI\UIActions\" and open up the file called "MM_SaveGame.xml" with any text editor. I recommend Notepad++. Step 8: Repeat what you just did on step 7 on line 70. Step 9: Save the file and close it. 7-Zip will ask if you want to save your changes made to the archive, click "Yes". Close the archive and start the game. If anything went wrong simply replace the file with the copied backup, or try verifying the integrity of your game cache in Steam. You can now use the "Save Game" button in the ESC menu to save without consuming any potions. Do not drink the potion directly as it will be consumed, but of course still save. Remember that you still need to have at least one potion in your bag for this to work! So only carry one at all times. If you wish to remove the need of potions entirely go into "MM_IngameMenu.xml" in the same folder and go to line 106 and change "UsePotion" there to "0". You need to do the other changes as well!